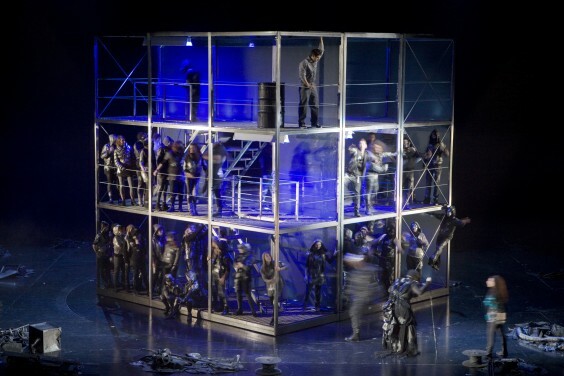 In March 2010 Glyndebourne commissioned Nicky to re-write Knight Crew as an opera – with music by Julian Philips and John Fulljames directing. 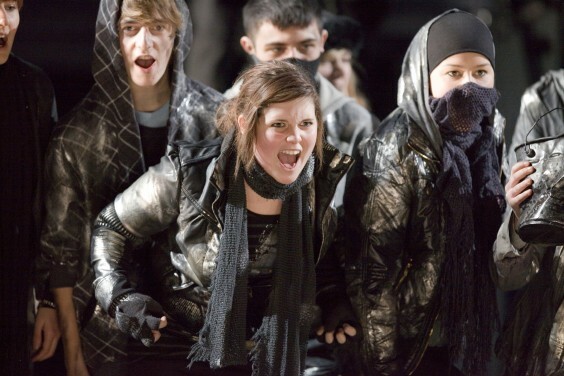 It was staged with a cast of six professionals and a chorus of 50 young people. 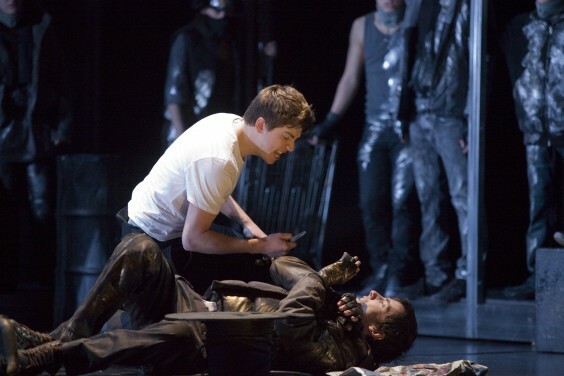 It was Glyndebourne’s first ever commission from a teen novel. …the story of King Arthur updated to a twenty-first century urban wasteland, courtesy of a libretto by Nicky Singer who was inspired by an encounter with a typically deprived and ‘antisocial’ youth on a Holloway estate: her realisation that ‘respect’ was simply a modern version of medieval knightly honour became the pivotal idea for a plot which translates Arthurian symbolism into terms of turf wars and street-gang rituals. 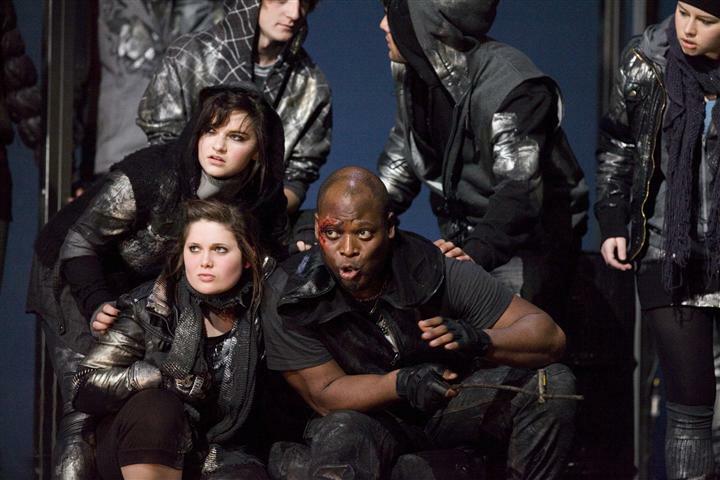 The plot turns on teenage love and valour against the backdrop of permanent war with a neighbouring gang. But it also has an other-worldly dimension represented by a bag-lady with the vision of a seer, whose senseless murder sets in train a series of mystical events which test the moral mettle of all concerned. With a knife which kills without getting blood on itself, and with a book which foretells the future, we are in the sort of magical territory which Harry Potter readers take for granted; what lifts this drama onto a different plane is the Puccinian intensity with which the characters are impelled to destroy each other and/or themselves, as events progress towards their mysterious denouement. One of the most poignant scenes has strong echoes of the Damilola Taylor tragedy. 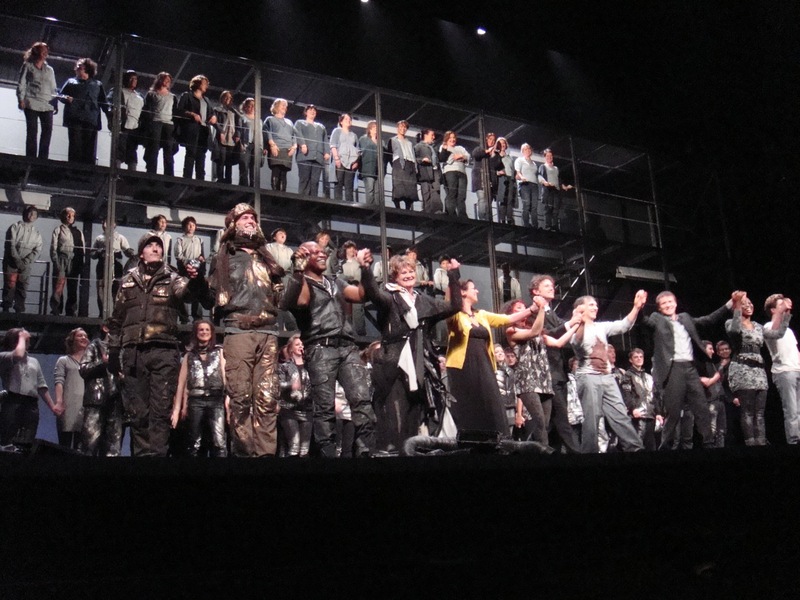 For a ‘community’ opera this is an extraordinarily accomplished piece of work. Wow. I so left the planet. 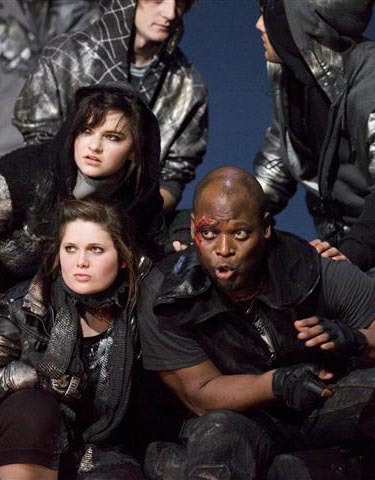 Watching Knight Crew in rehearsal – and then on that hallowed stage in front of packed houses four nights in a row – what can I say? The pictures give some small taste of it, but imagine this, imagine you made up a whole group a people, a whole universe, and four years later, they all got up on a stage, walked, breathed, sang. And broke your heart. Night after night. That’s what it was like for me. I wouldn’t have missed it for anything: profoundly uplifting and encouraging. 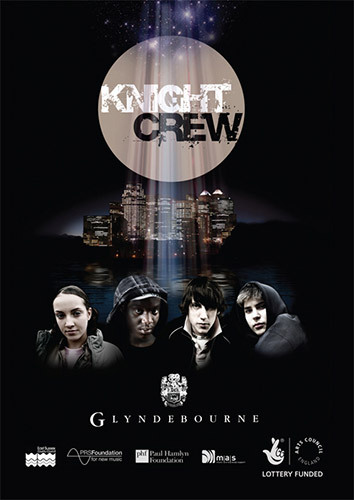 Knight Crew delivered a genuinely superb theatrical experience.…..it deserves some kind of tour, even a West End transfer. This or Mamma Mia? No competition.